Sufficient water movement is essential to maintaining a healthy pond environment for fish and aquatic plants. TJB-INC sell quality pumps for all styles and types of water features. From a small bubbling fountain to a massive thundering waterfall. 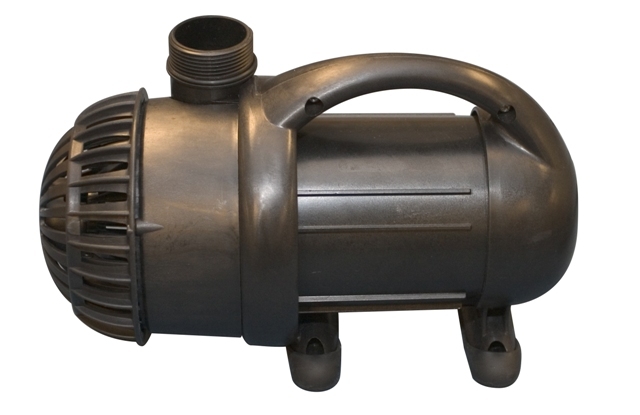 We offer a wide variety of garden pond pumps from leading manufacturers. These include submersible pumps, extenal pumps, fountain and statuary pumps. Let us help you choose the right pump for your custom water feature. Choosing a pump for a water garden should be based on a few job requirements. Desired flow, pumping height and electrical costs are all factors that need to be considered. The higher a pump needs to push water, the less flow you are going to get out of that pump. 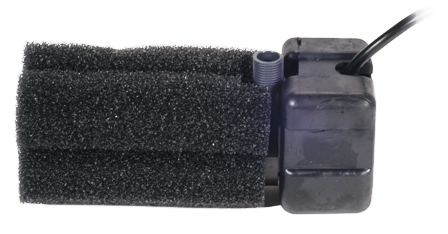 The pond kits come with pumps sized to turn a pond over at least once an hour. If pumping height is close to maximum pump shut-off height, substitute the next larger pump available. Your pond is a living natural ecosystem and requires a consistent flow of oxygen to stay alive. The pump should be run 24 hours a day, 7 days a week to keep the ecosystem functioning properly. To determine the correct pump for your water feature, use the following formula. - Each 10' of horizontal run of pipe (any size) = 1 foot of head. SIZING PUMPS AND FILTERS TO YOUR POND SIZE. Any pond or water garden’s size should be determined FIRST. Then you can calculate the gallons capacity of your pond. L X W X Average D X 7.48 = gallons capacity. Then you know what minimum pump size you need. Then you know what size filter you should use. Ponds should be “turned over” (amount equal to pond’s total capacity), at least once per hour or more in anything up to about 20,000 gallons total capacity. A 1000 gallon pond should have a minimum of 1200 gallon per hour (gph) pump. However, using a 3000gph pump would hurt nothing, as long as your filtration can handle it. Actually, the 3000gph system would be more forgiving, and could handle more little hiccups than the smaller pump’s system could.